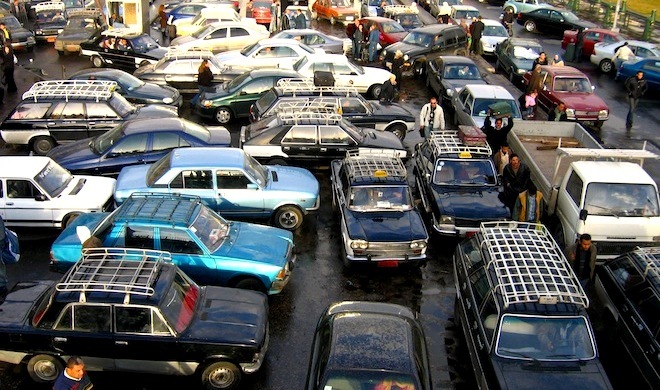 Traffic congestion and journeys in old – and not necessarily reliable – vehicles are a way of life in many parts of the Middle East. My first exposure to the region (backpacking around Egypt in 1998) saw plenty of both; including a 3am rush hour in Cairo which was like nothing I had ever seen before. Or since. Whether you’re a tourist or a resident, transport challenges are a way of life in the Middle East – just as they are in many other parts of the world. But technology is beginning to have an impact on this space. From improving safety – through digital mapping, apps for booking taxis and the ability to hire and unlock vehicles from your phone – this part of our lives continues to be transformed by new technologies. 1. Masarak is one of the Qatar Mobility Innovation Center’s (QMIC) smart living programs; which includes Road Safety services. This includes voice alerts for roadblocks and congested roads – with information collected through hundreds of sensors attached to lampposts. These pick up signals emitted by Bluetooth devices inside passing vehicles; thereby providing real-time information about traffic congestion. 2. Bey2ollak is an Egyptian community-based traffic information service; which has over 900,000 daily users, 123,000 Twitter followers and nearly 290,000 Facebook fans. Its mobile app uses crowd-sourcing and social interaction to exchange the latest traffic information. 3. Uber, Lyft and other services have changed the way many people get around; with payments made through their apps (rather than directly to the driver) as well as how you get a driver’s attention in the first place. Dubai’s Road and Transport Authority’s Public Transport Agency (RTA) last year introduced their own “shake-a-taxi” app. When a user shakes their phone, the installed app uses GPS functionality to look for – and contact – the nearest available taxis. 4. Beliaa, emerged from 2013’s ‘Cairo Transport App Challenge” which was organized by the World Bank in collaboration with a range of other local and international partners. “The name,” the founders note, “has been inspired from the local Egyptian 14,15 years boy who’s sent to car workshops to be a car mechanic.” The mobile app offers roadside assistance by using your GPS location to find the nearest breakdown center. 5. Salamtek is an “Anti- Distraction” app, which eliminates your ability to access certain smartphone features when you are traveling above a particular speed. It also sends a message to callers that the phone’s user is driving. The app can be configured to allow access to essential callers (you can identify up to three such contacts) and apps; but this is again capped at three. Have any other Middle East originated transport orientated apps caught your eye? If so, let us know by leaving a comment below. To explore these stories – and others – see ictQATAR’s SlideShare channel and their recent “Tech Top on Road and Travel Apps” (English version; Arabic version).